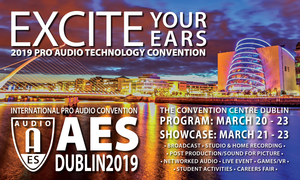 Today is the final day to save up to 20% on All Access and Product Showcase badges for Europe’s premier professional audio event of the year, the AES Dublin International Pro Audio Convention. 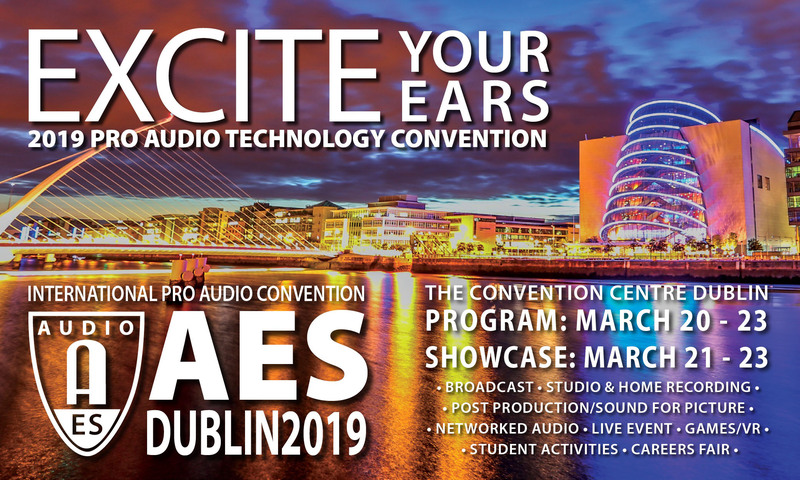 Attendees can save money and valuable time onsite in Dublin with online Advance Registration pricing on Product Showcase admission to the three-day Professional Sound Expo presentations, exhibitor displays and Convention Special Events. An upgrade to All Access registration adds the full four days of comprehensive Technical Program events. “If it’s about audio, it’s at AES!” The complete schedule of events, presenter list, travel information and registration are all available at aeseurope.com. Online registration ends when March 19 begins (GMT).